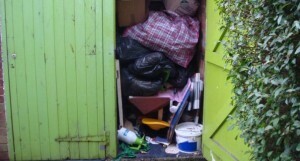 Are you searching for garage clearance in Romford? We have the solution! For almost fifteen years we’ve been providing garage clearance Romford residents consistently rate highly and are happy to vouch for. They appreciate us for our prompt, flexible services and economical fees. We think you will too! DIY rubbish including wood, tiles, glass, cabling etc. As registered waste carriers you can count on us to carry out an entirely professional job and dispose of all your waste properly and legally. We’re open for business seven days a week from 7am to 11.30 pm. Evening and weekend bookings are always available. 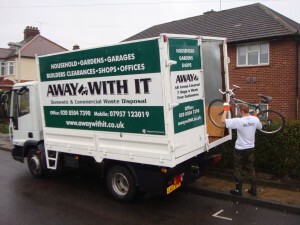 We offer a prompt, same day collection service. At any time you need us we are only a phone call away. Reservation is in two hour slots and we’ll always call ahead of time to let you know when to expect us. So you won’t be left hanging about and can get on with your day. Our transparent pricing means there won’t be any nasty shocks when the job is finished. The rate we quote is the price you will pay without hidden supplements. To talk to a member of our knowledgeable team about your needs for garage clearance Romford just give us a call on 0208 504 7390 or 07957 123019. We’re here seven days a week to take your call and will gladly answer any questions and supply a competitive quote that’s inclusive of all labour, carrier and transfer fees. Or you can forward your information using our online request a quote form and we’ll respond you right away.